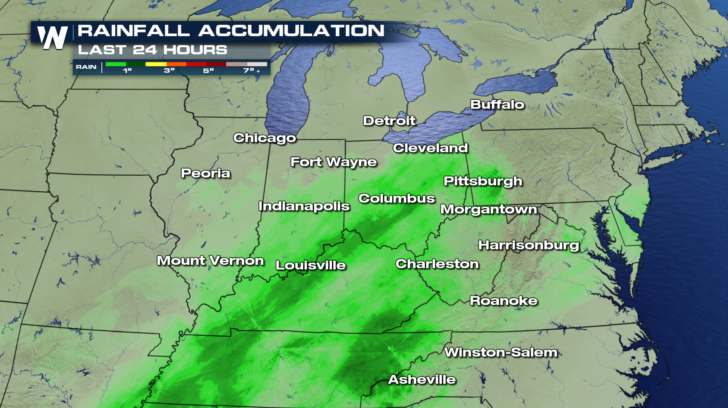 The Midwest and the Northeast have dealt with their fair share of snow, ice, and rain over the past several days. As conditions wind down into the night, new risks and concerns will arise with strengthening winds. 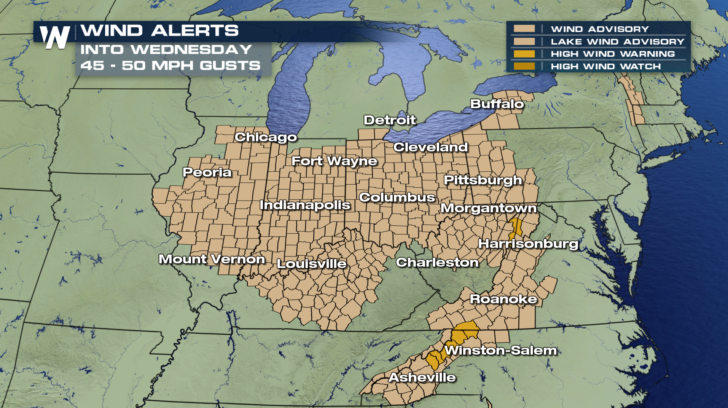 Wind Advisories stretch from Illinois through the Ohio River Valley and down across parts of the Blue Ridge Mountains and Great Smoky Mountains. Winds will build through the night with gusts up to 50 mph out of the west and northwest. Traveling on north and south orientated roads may be difficult at times, especially for trucks and higher profile vehicles. The risks associated with these strong wind gusts actually depends on what type of weather you have been experiencing over the past 24 hours. 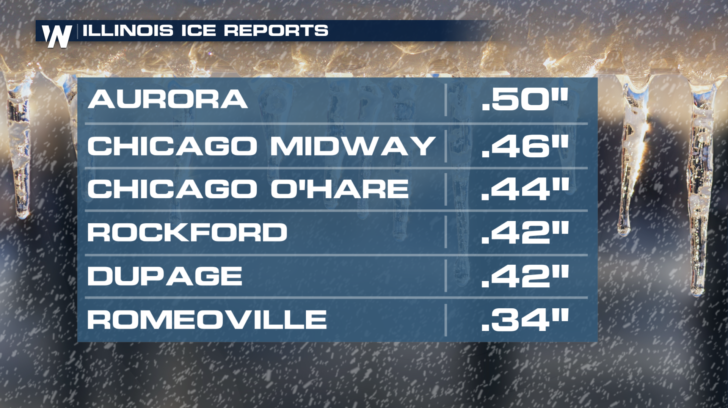 Spots that dealt with ice accumulation on Tuesday run the risk of wide spread power outages. The ice is already weighing down the power lines and the winds add additional stress. This could be the case in northern Illinois. In areas that have seen excessive rainfall, like the Ohio River Valley, trees may fall over due to saturated soil. Trees falling could result in power outages as well. 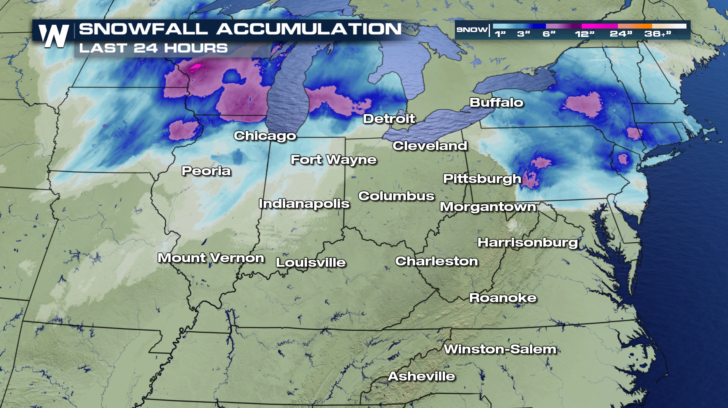 Spots that have seen snow will deal with blowing snow through the night and into the day Wednesday. This can reduce visibility very quickly and create hazardous driving conditions. Drive carefully and be on the lookout for downed power lines which may still be live as well as down trees and branches.